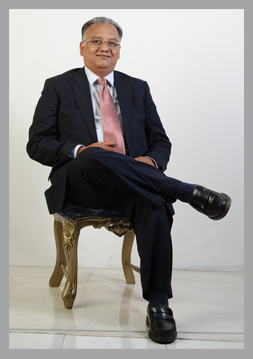 Mr. Pujari has been associated with hospitality industry from a very young age of 20 when he worked with the Ambuja’s at the Conclave. But he knew his aspirations needed a larger platform to set off his dreams and hence left to United States America. The country of opportunity did not disappoint the ambitions of the budding hospitalitarian and opened the gates to one of the most illustrative careers. At the age of 23 he became the F&B manager and at 27 General Manager of Hyat Regency in Washington D.C. India’s only “Certified Executive Chef” (CEC) from American Culinary Federation U.S.A. living in India. Among the first group of “Certified Food Service Management Professional” (FMP) by National Restaurants Association, U. S. A. The Hospitality Industry Course material was personally designed and customized by him and he is also highly acclaimed with the distinction of having presented several papers in national and international forums like CHRIE, AH & LA, FHRAI, and in many universities. He was the only professional in America, to hold all three trade certifications and being invited to an individual membership to the United States Chamber of Commerce. “My course at IAST helped me put the concept of leadership into the right perspective of being able to envisage the possible and inculcating the courage to deliver the impossible. The course is characterized by its focus of thought, strength of syllabus and impeccable results”.